The Saudi-led coalition has launched an all-out assault on the Yemeni port of Hodeidah in a move that aid agencies warn will cut off vital humanitarian supply lines to millions and directly endanger the lives of up to 200,000 people living in the city. Coalition warplanes and warships on Wednesday pounded rebel positions in the Houthi-controlled city to support ground operations by troops massed on its south approaches. As much as 80% of the aid, including medicines, fuel and food that reaches the famine-struck country, goes through the port, but the Saudi coalition claims the Iranian-backed Houthis use the port to smuggle arms and raise taxes. An estimated 8.4m people in Yemen face pre-famine conditions, according to the World Health Organization. United Nations diplomats, backed by the British and the US, had spent days pressing the UAE and Saudi to delay the attack, but were rebuffed by the Gulf states convinced that the assault will not be as bloody as the aid agencies predict. Martin Griffiths, the UN Special Envoy for Yemen, had warned an attack would set his peace plan back. The International Committee of the Red Cross on Wednesday said that the assault was “likely to exacerbate an already catastrophic humanitarian situation in Yemen”, where water and electricity networks are vital to the civilian population’s survival. Unicef estimates there are 300,000 children living in and around Hodeidah out of a total population of 600,000. The exiled government of Yemen, which is still recognised by the UN, said: “The liberation of Hodeidah port is a turning point in our struggle to recapture Yemen. 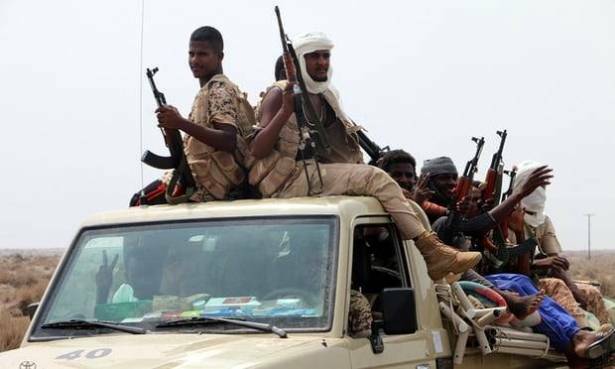 The attack is led on the ground by forces loyal to Yemen’s ex-president Ali Abdullah Saleh, who was assassinated by his former Houthi allies in December. It is commanded by Tarek Saleh, nephew of the former president. The UAE foreign minister Anwar Garhgash, part of the coalition, said it had given the Houthi forces nearly three days to leave the port before the attack started. “The Houthis cannot hold Hodeidah hostage to finance their war and divert the flow of humanitarian aid,” he said. “Their assault on the Yemeni people has continued for too long. Their folly of trying to take over Yemen through the barrel of a gun is coming to an end”. The coalition claims its rapid advance up the coast south of Hodeidah proved that the Houthi forces are not as entrenched as some claim. It argues capture of the port will shorten the three year civil war by tipping the military balance towards the coalition, forcing the Houthis to negotiate. The assault led a barrage of warnings and criticism, including claims that the UK, and US, both closely tied to the Saudis, had effectively given the assault a green light by not intervening more decisively to deter the Saudis. Sweden is expected to demand an open meeting of the UN Security Council on Wednesday. Efforts by some Security Council members at a closed session on Tuesday to agree a statement explicitly condemning the attack in principle failed partly due to opposition from the US and the UK. In the UK the former Conservative international development secretary Andrew Mitchell accused the British government of being complicit in the attack, and said the UK was using its position on the UN Security Council to protect its ally Saudi Arabia. “A decision has been made by Britain in relation to Saudi Arabia that security and commercial grounds trumps everything else. We are getting into a very difficult territory. We are part of a coalition that is besieging this country and creating famine. “What happens when they have taken Hodeidah? There will be one million people that will need to be fed and watered and get medicine. They will not have a prayer of doing that. Britain will be complicit in that”. In the US a cross-party group of Senators including Bob Corker, the Republican chair of the Foreign Relations Committee, wrote to US Secretary of State Mike Pompeo expressing “grave alarm at the attack”. The Houthis captured Hodeidah in October 2015, three weeks after they captured the capital Sana’a.